Welcome to Molly Maid of Northwest Dallas County and MOLLY MAID of the DFW Metro Northwest We've been providing residential maid service to the greater Dallas area, specializing in professional house cleaning services that revolve around our clients in Dallas, Coppell, Addison, Richardson, Garland, Mesquite, Forney, and all the surrounding cities and neighborhoods. Residential housekeeping services have saved your neighbors time. Why not experience the same professional house cleaning for yourself? Making time for family and favorite activities just got easier. Welcome to Molly Maid, your local choice for professional residential cleaning services. Backed by an established household brand, our residential housekeepers guarantee your satisfaction. 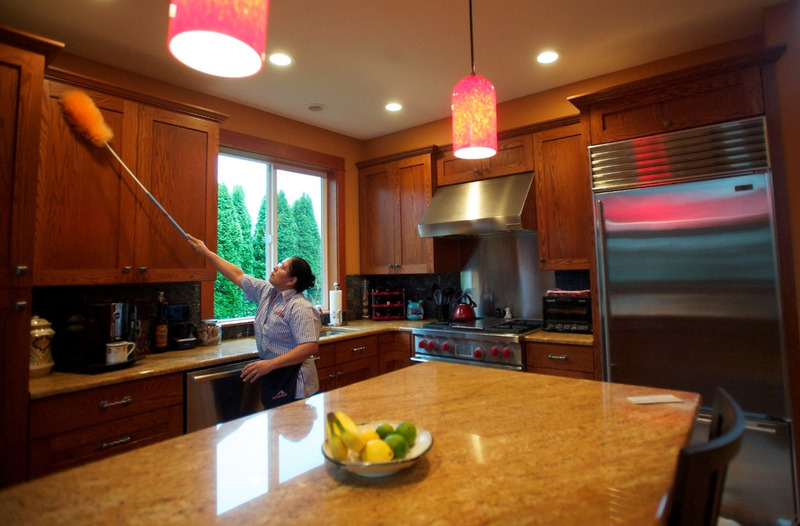 We listen to your personal preferences to create a plan that keeps your home cleaned your way. We've been highly recommended since 1979 as a result. Join your neighbors on the golf course, spend time with your kids in the park, or just relax. Our local home cleaning company creates more time for the activities you love. Request a free in-home estimate and learn why your local Molly Maid is the most trusted name in home cleaning. Plus, a portion of every cleaning is donated to GRACE - assisting families in our community. Request a free in-home estimate and learn why your local Molly Maid is the most trusted name in Dallas area the surrounding neighborhoods. Further, ask about our same day cleaning service at no additional charge. Dusting, Residential Cleaning, Vacuuming, General Cleaning. Baseboards, Blinds, Carpets & Rugs, Chandeliers, Doors, Drapes, Fans, Floors, Lights & Fixtures, Mirrors, Pictures, Sinks, Stairs, Walls, Windows. Basements, Bathrooms, Bedrooms, Closets, Kitchens, Living Rooms. Bi-monthly, Monthly, Bi-weekly, Weekly, Daily, Evenings, One Time Only, Weekends. Move Ins & Move Outs, Seasonal Cleaning.